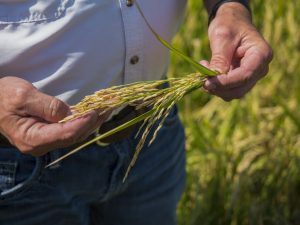 In addition to benefiting the environment, on-farm conservation practices tend to create economic value for farmers and surrounding communities. Anecdotal examples of these benefits abound – fertilizer efficiency saves farmers money; no-till lowers labor and fuel expenses; and buffers and wetlands reduce downstream flood risk and drinking water treatment costs. Quantifying them, however, remains a major challenge. The resulting data gap limits broader adoption of conservation measures. 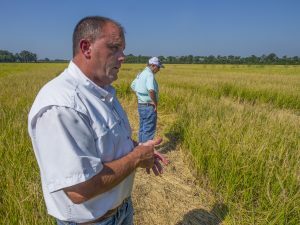 These farmers sparked agricultural carbon markets across the U.S.
Rice held by Jim Whitaker of Whitaker Farms. Credit: Adam Jahiel. I want to tell you a story about a handful of growers whose commitment to sustainability and desire to innovate inspired an ag carbon credit movement. Credit: Flickr user jkc photos. At the first field hearing for the 2018 farm bill held in Kansas last week, producers had one clear message for the Senate Agriculture Committee: the stakes for farmers have never been higher. Commodity prices are the lowest they’ve been in over a decade, and farmers’ incomes are predicted to drop nearly 10 percent this year. 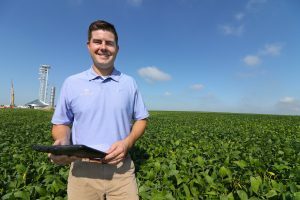 Members of Congress – and the new Secretary of Agriculture – will have their hands full in helping producers navigate the innate uncertainties of farming, balancing the myriad needs of farmers in different geographies, and ensuring that growers remain profitable. 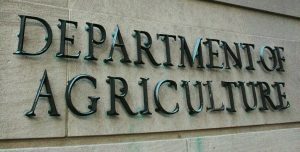 There’s agreement on at least one big issue: producers testifying last week conveyed a desire for continued funding for conservation programs in the farm bill. Government doesn’t have to go it alone when it comes to sustainable agriculture: the private sector’s investment in conservation is unprecedented, and companies are eager to collaborate. 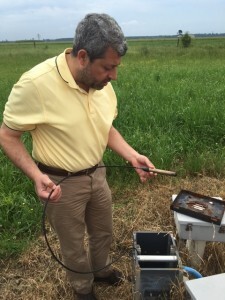 Early adopters of innovative land-based conservation measures are rarely given an adequate reward for participating in agricultural carbon markets. But that’s all about to change, thanks to a nearly $1.2 million USDA Natural Resources Conservation Service Conservation Innovation Grant (CIG) that will leverage private capital investment into agricultural carbon offset practices and ensure that producers are paid for their efforts.